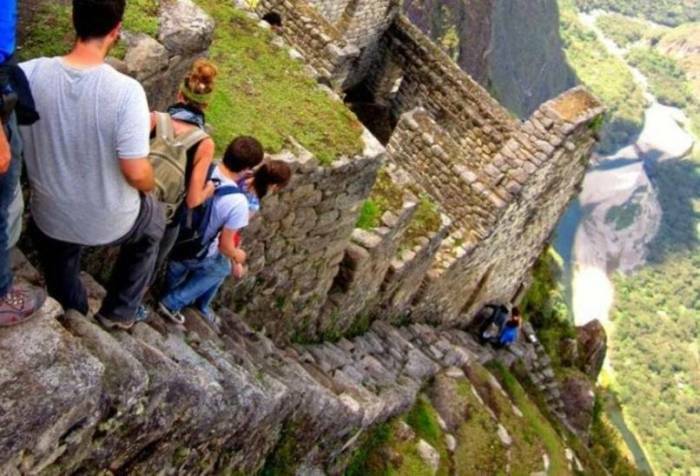 These tourists attractions are truly unique and if you visit them you'll have a great story to tell. 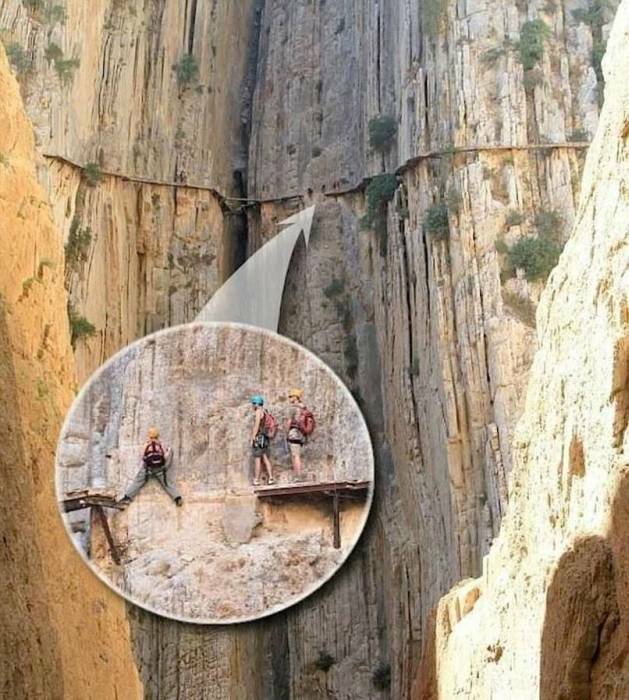 The only problem is you might not survive the trip. 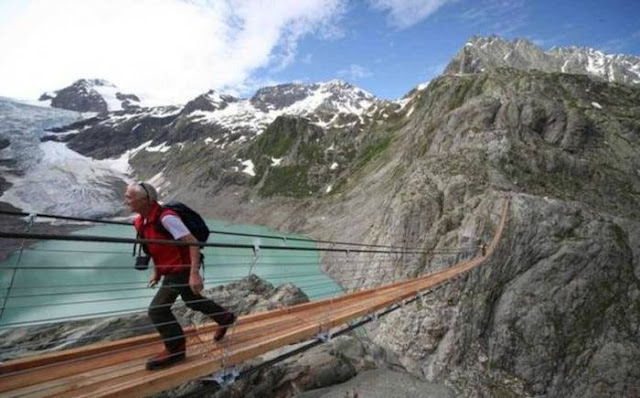 This bridge sits 330 ft in the air and stretches 560 feet (only 3 feet wide) in the Swiss Alps. 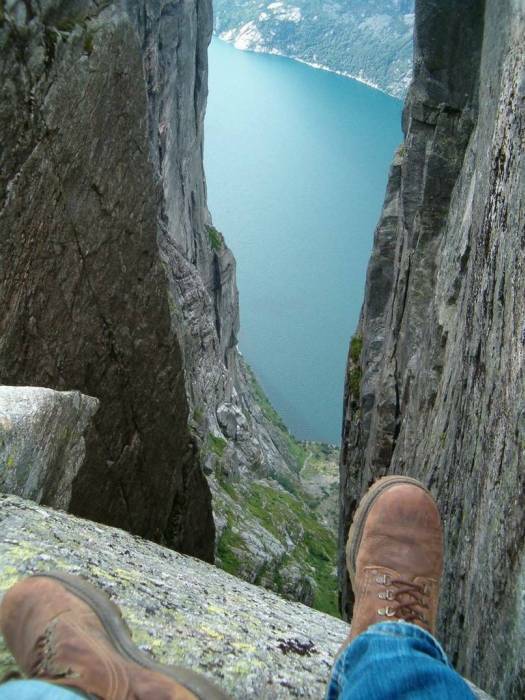 The view is spectacular, but you might want to avoid looking down. 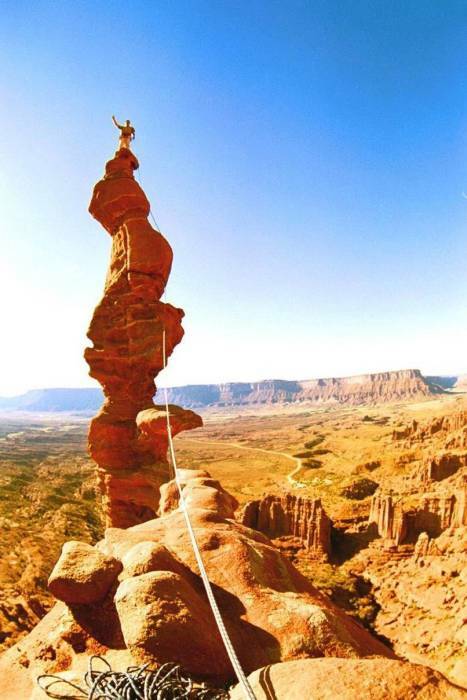 This summit is a park of Utah's Moab National park and is noted as one of the most precarious peaks in the world. But why must people climb it?! 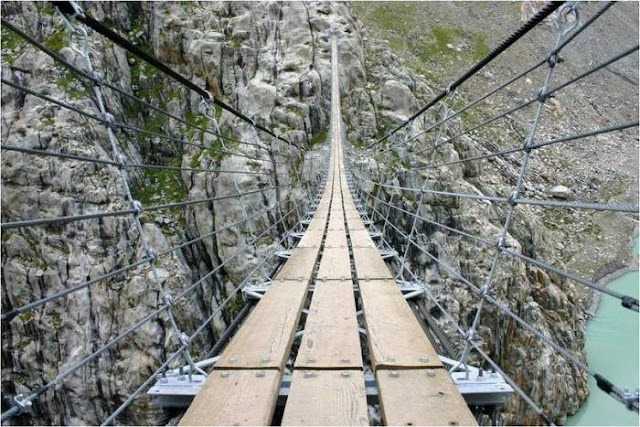 Known as the Little Pathway of the King, this was built in 1905 and has had little to no repairs done until recently. 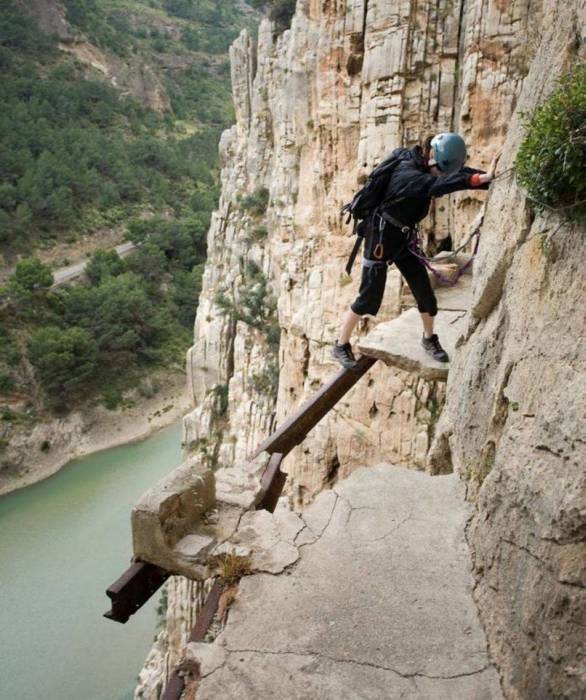 Therefore, bold climbers enjoy braving the sections that are most dangerous and even completely disintegrated. 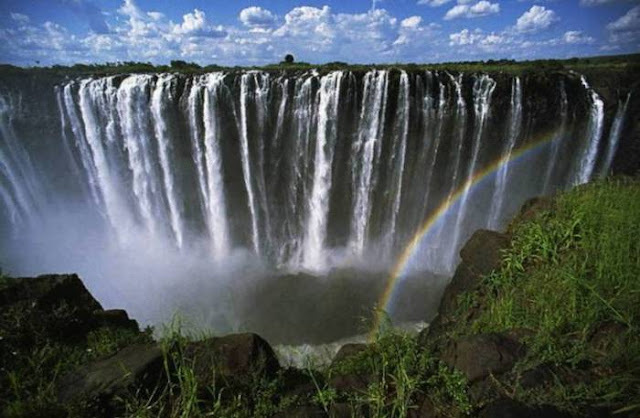 You'll have to travel to South Africa if you want to see this beautiful 355ft cascade. 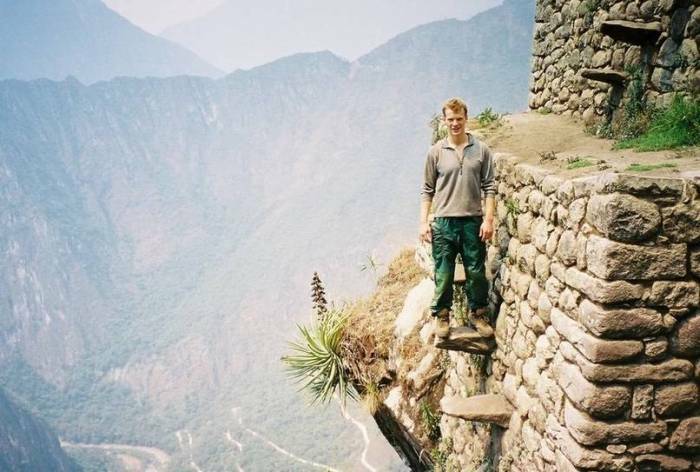 But get this, people literally die trying to get the perfect photo here, yet the tourists (and tour guides) continue to risk their life visiting this once in a lifetime view. 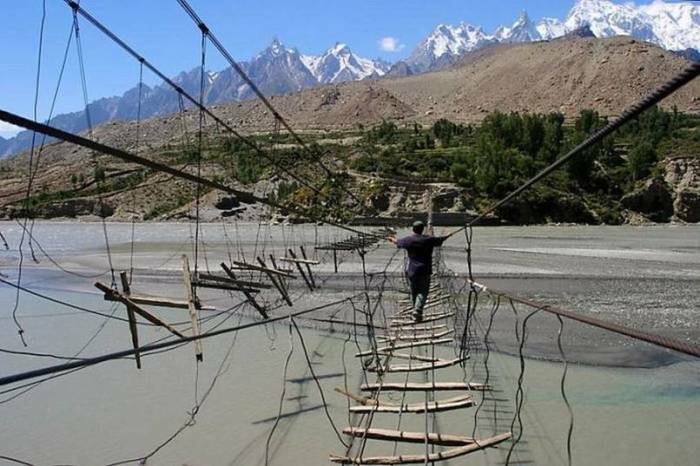 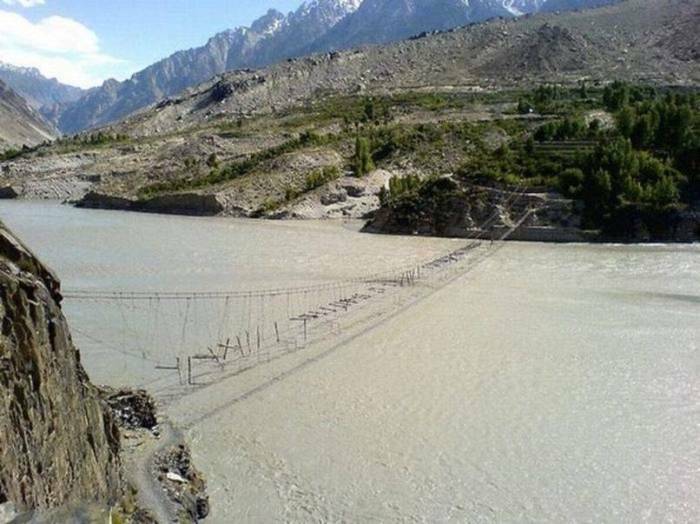 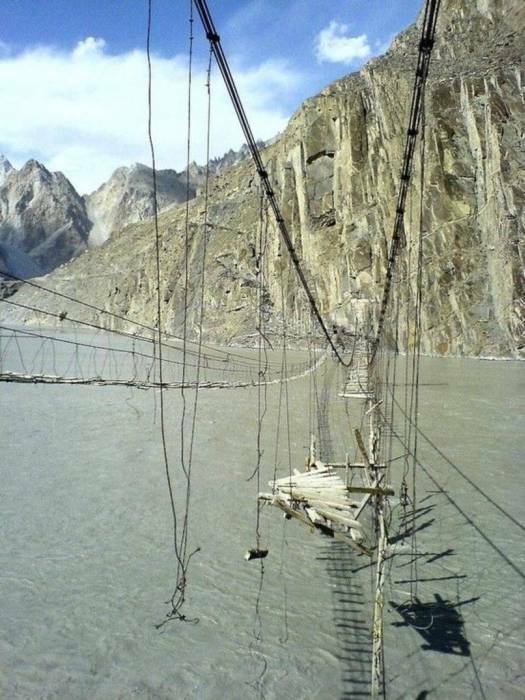 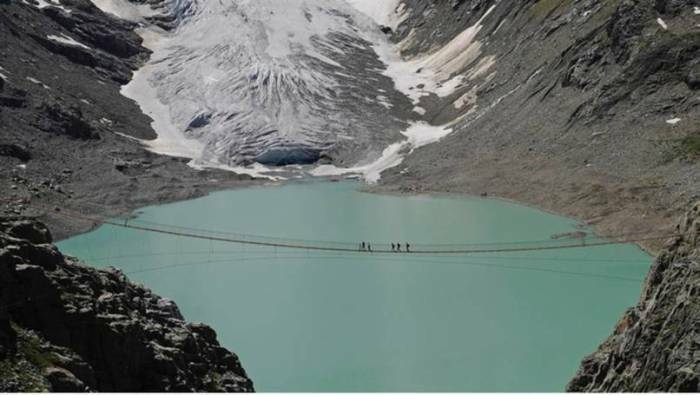 Located in Northern Pakistan, this is one of the most dangerous bridges in the world, as it has been poorly maintained and the elements have taken their toll on it's structure. 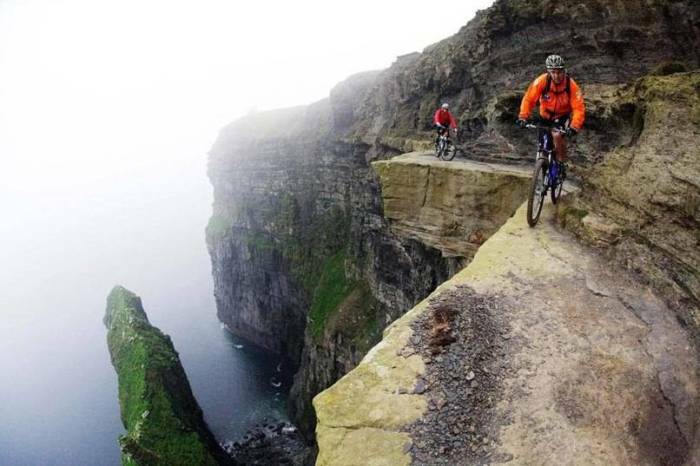 This dangerous Ireland (unofficial) bike trail was featured in The Princess Bride! But don't expect to this to be a cake walk. 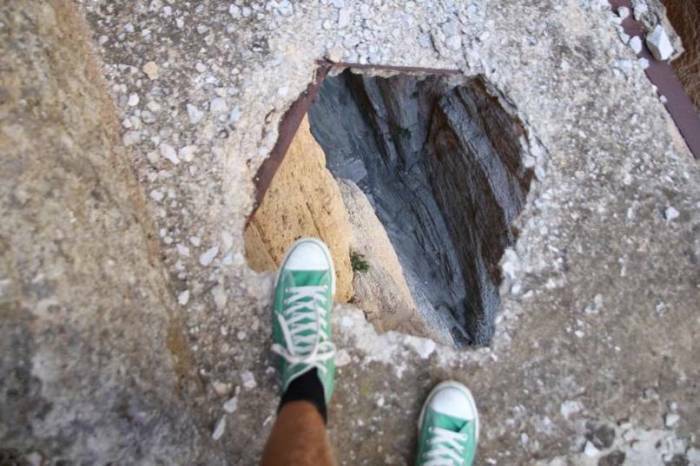 It's only about 4 feet (at it's biggest sections) and it's continuously crumbling. 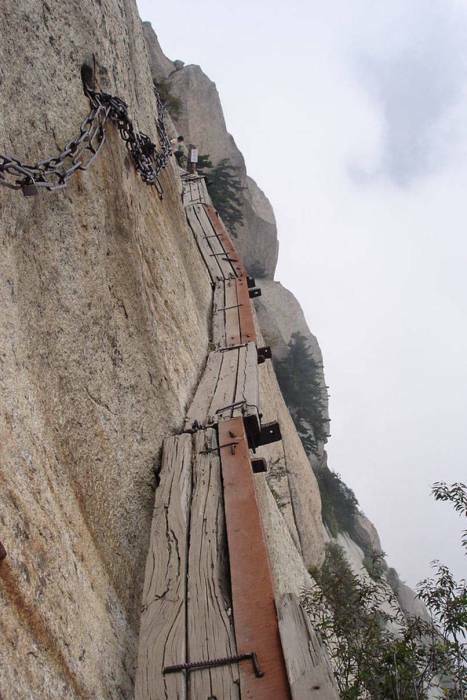 The trek up Mount Huashan is considered one of the most dangerous, yet popular ascents in China. 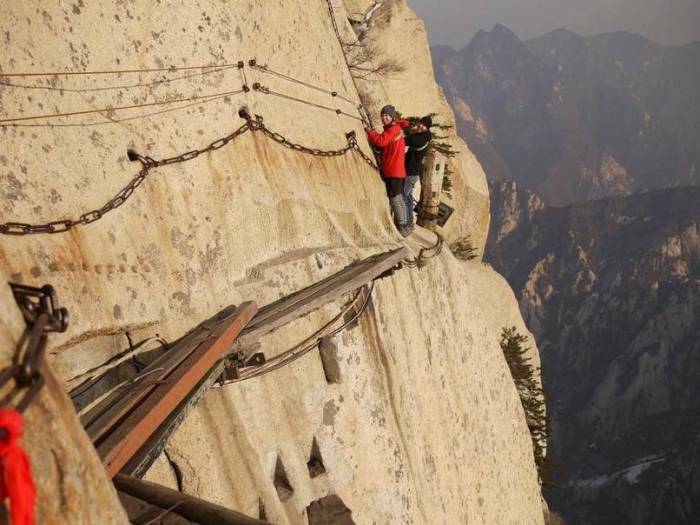 Hundreds of tourists flock to the nearly vertical staircases and creaky bridges of this location. 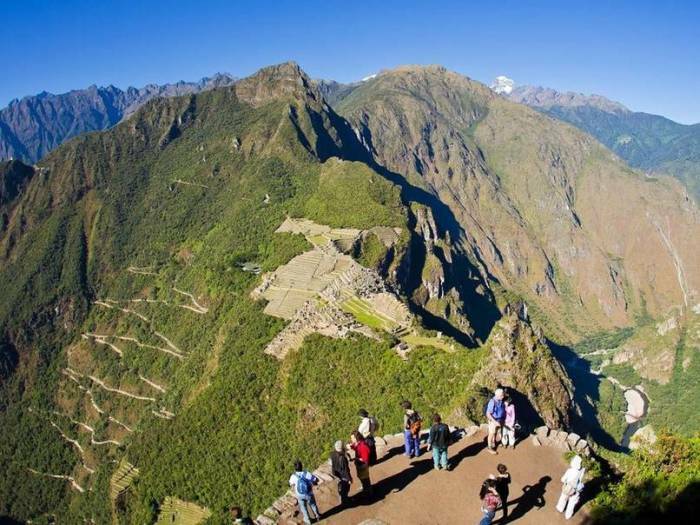 There is no better view of Machu Picchu than from this summit. 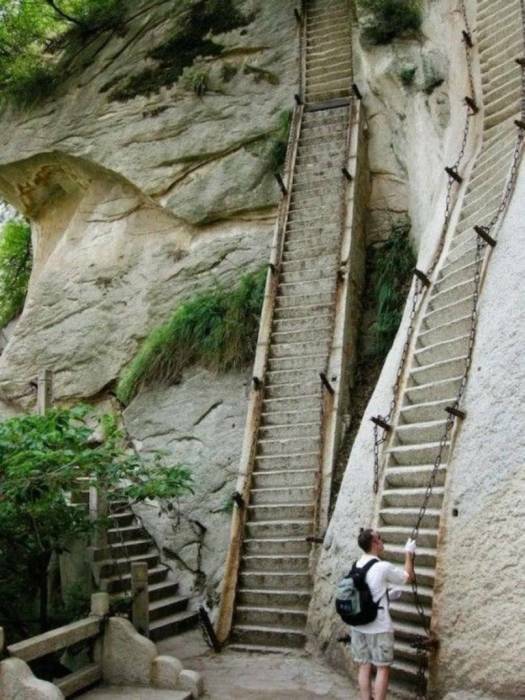 But getting there is the hard part. Unkept trails, steep staircases and the high altitudes make this trip a treacherous one. 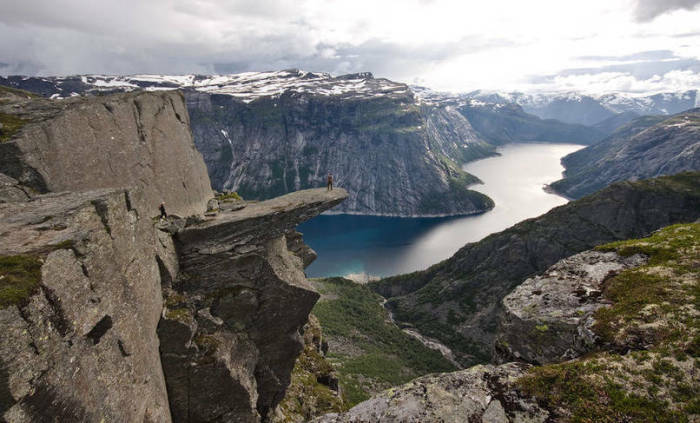 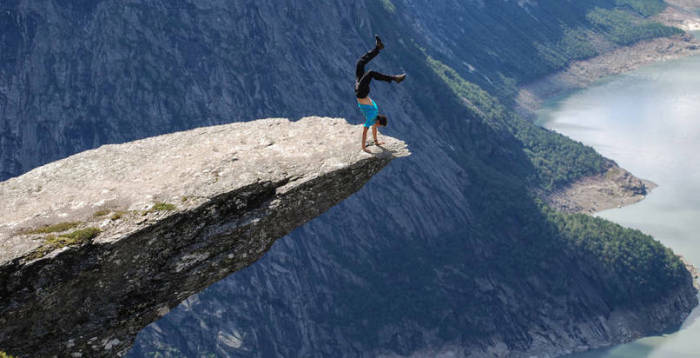 Trolltunga, which stands for Troll Tongue, is one of Norway's most population outlook spots. 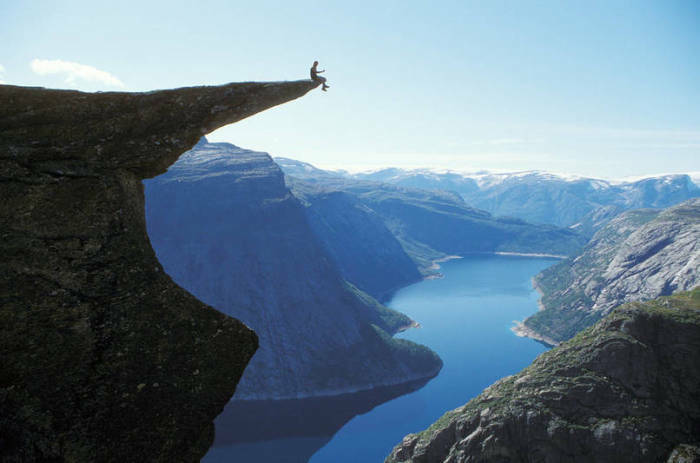 It was formed thousands of years ago but glaciers that slowly chipped away at the rock. 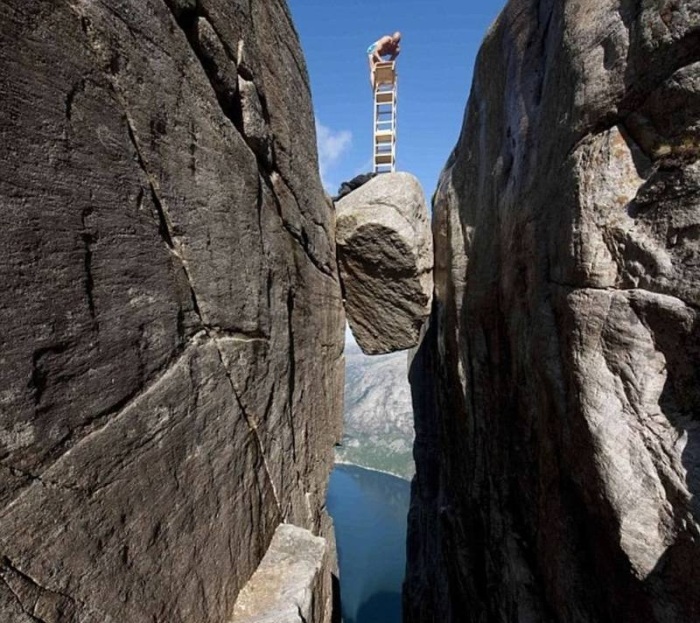 Do you dare visit it's edge? 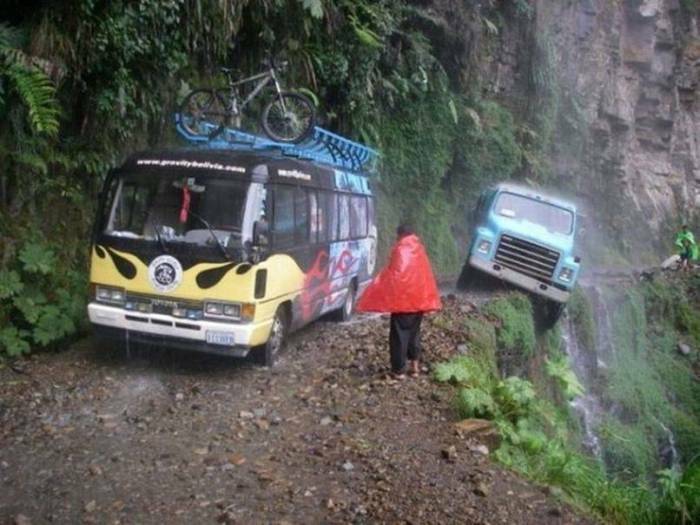 This road in Bolivia is accurately named The Road Of Death, due the hundreds of lives that it has claimed. 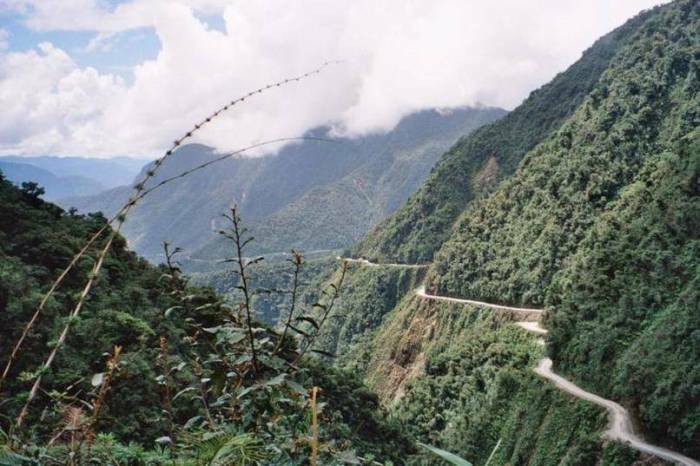 The roads of this mountain are poorly maintained, leading to numerous accidents on the most trafficked parts. 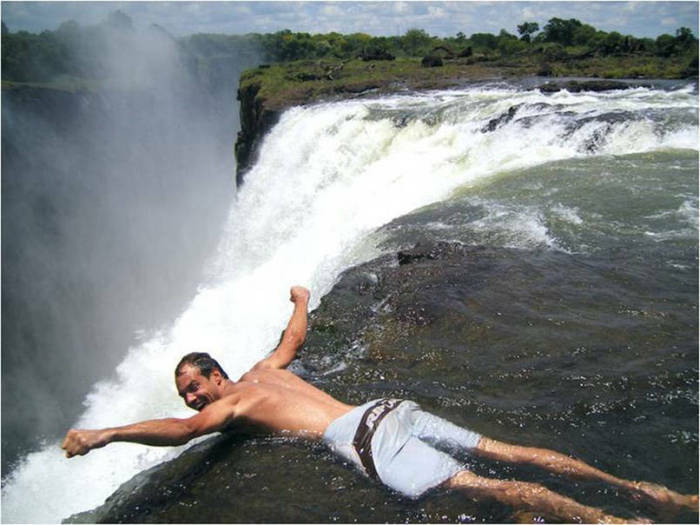 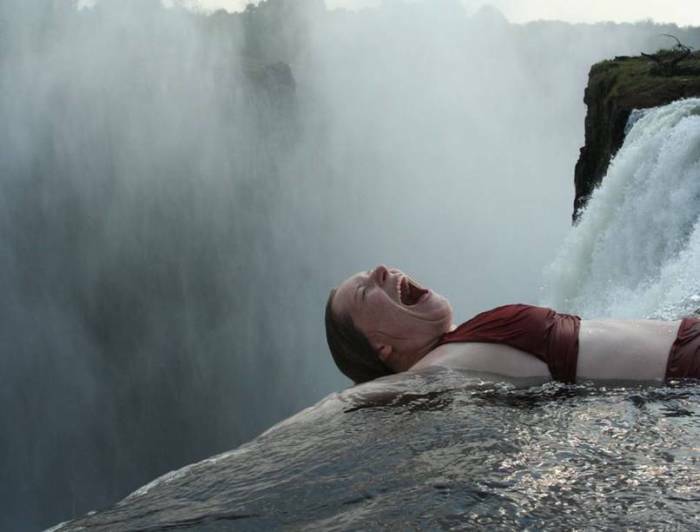 1 response to "11 Popular Tourist Attractions That Might Kill You (28 pics)"